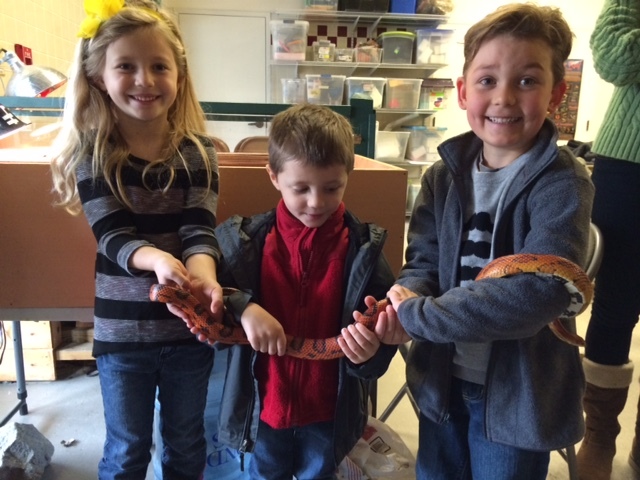 These kindergartners thought our corn snake was pretty cool! The sad truth is that snakes are some of the most misunderstood animals in our world. Our environmental education programs give students like these the chance to learn hands-on about the reptiles and amphibians in our Lowcountry ecosystems. 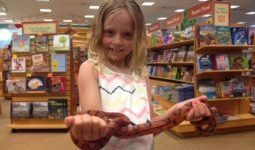 Our goal is to leave our kids respecting and appreciating, rather than fearing, animals like this corn snake. We have 38 different species of snakes in South Carolina (and of those only six are venomous). Did you know that garter snakes eat mosquito larvae? Anything that helps control our Lowcountry mosquito population is pretty important. Don’t you think so? Our thanks to Tony Mills at Spring Island for this very gentle and tolerant corn snake!